[QODBC-Desktop] Troubleshooting: Can't Mark Fund Transfer as "Cleared"
Troubleshooting: Can't Mark Fund Transfer as "Cleared"
Want to use QODBC to mark a fund transfer transaction as "Cleared", but don't know how to do it. Try to modify field TransactionPaidStatusFilter, but QODBC reports that this field could not be updated or inserted. In Intuit SDK, the field TransactionPaidStatusFilter is valued by the system automatically and could not be inserted or updated. It is only used to quickly view those cleared transactions. In a matter of fact, there is no so-called "cleared status" in fund transfer transactions. 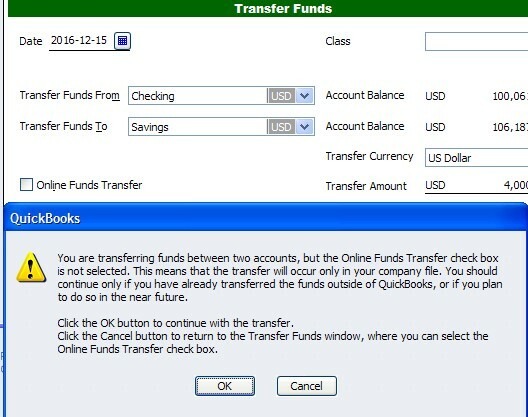 In QuickBooks, once the fund transfer is built and saved, the system will automatically mark it as cleared. No matter you really send the apply to bank or not.